Getting a technical certification can benefit your career in various ways. But did you know this can be especially true for current IT students? Not many students think about getting a certification before they finish their degree, but an IT certification can give them advantages that other students won’t have. Let’s go over some of the questions a student might have about why obtaining an IT certification before graduating is a good idea. 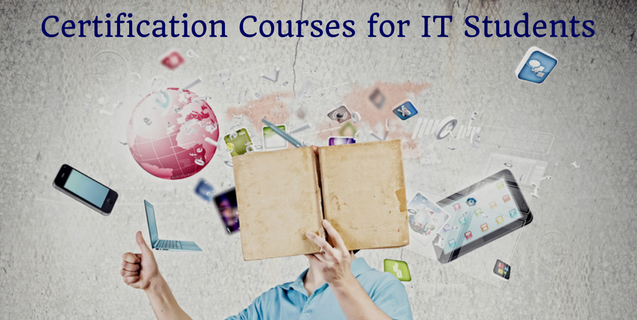 Won’t getting an IT certification be a lot of extra work and stress? Probably one of the best reasons to get a certification now is that you’re already in the habit of absorbing information and passing examinations. It will be tougher to study and motivate yourself after you have been out of school for a few years. Right now, it will be just like studying for a very important final. If you’re a younger student, you probably don’t have the responsibilities that will come later in life such as a full-time job or family to support. These responsibilities will likely make it difficult to devote time to advancing your career with outside studies. If you get your certification now, you’ll be ahead of the game. Sacrificing a little bit now will pay big dividends in the future. Do I need to get multiple certifications? Getting a bunch of certifications is not necessarily the best route. You will be better served by researching the profession that you plan on going into and learning which IT certification will be the most targeted and relevant to your field. This will help you make an impact from the very beginning of a new position. You’ll already be intimately familiar with the specifics of the technology that you will be using rather than knowing about a bunch of different things that won’t necessarily help you in your day to day. You also don’t want to spend a lot of money on skills that you won’t need or use. How will a certification help me get a job? Won’t my degree be enough? A college degree and a good grade point average will definitely help you find a good job. However, if you want to go for a great job, wouldn’t it be nice if you could do something to set yourself apart from the group of other qualified applicants? Having an IT certification lets the prospective employer know that you have more education than the other applicants. It also lets them know that you are responsible, have ambition and drive, and are already trying to actively manage your career. It shows them that you aren’t afraid of a little hard work and that you will do whatever it takes to get ahead in life. Don’t think of obtaining an IT certification as just a lot of extra work. Think of it as a continuation of your education that will pay extra dividends on top of the degree that you earned. It will set you apart from the competition from day one and will follow you for the rest of your career. Also, after you have gotten the first certification, it will be much easier to get the next one or update your existing one as new technology is added. Having a certification conveys information to employers about your character and work ethic on top of letting them know that you’re an expert in the technology that they use. Certifications for IT students are definitely a good thing to look into while you are still a student in the learning mindset.